The Staunton chess pieces have become one of the world’s most classic design icons since their inception in the mid 1800s. To most people they represent the archetypal chess pieces, yet few of us know why in our minds they represent the default in chess piece design. In the absence of a label for these chess pieces people often refer to them as ‘traditional’ or ‘normal’. There is no doubt that they are the most important design of chess set in the history of all time. The origins of the Staunton chess set are not clear, in fact many people believe that there was a company called ‘Staunton’ who manufactured chess sets. Staunton was in fact a chess player, quite an important one during his time, and while he never manufactured a single set himself he was instrumental in making the design what it is today. 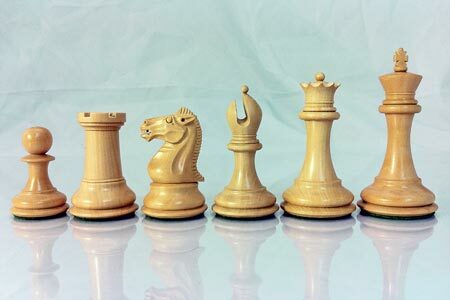 Today the Staunton chess set remains the most popular and common design in the world of chess. There have been literally thousands of designs that have either copied or been inspired by the original sets. The official chess organisations all use Staunton chess pieces as their blueprint for tournament standard chessmen. To turn up to a chess tournament sporting any other design of chess set on your board just isn’t the done thing.